This article appeared on January 2nd at OnePeterFive. NLM is reprinting it today with permission from the original source. Fr. Longenecker has written some fine books and articles. Years ago, I enjoyed and benefited from his book on St. Benedict and St. Thérèse of Lisieux, and his recent book on the historical veracity of the Magi is interesting. It would appear that in matters liturgical, however, Fr. Longenecker is out of his depth. Each claim he puts forward in his article “Twelve Things I Like about the Novus Ordo Mass” can be and has been refuted in the ample literature written on the subject, of which he appears to be ignorant. Indeed, the article betrays minimal knowledge of the history, process, and content of the liturgical reform (as, for instance, well documented in this biography of Annibale Bugnini) and of the contrasting richness of the traditional Mass. Let us walk through Fr. Longenecker’s Twelve Things (printed in boldface). 1. It’s accessible. Having the liturgy in the vernacular helps it to be understood by the people. How can that be a bad thing? It is characteristic of the rationalism of the liturgical movement (based on its Enlightenment precursors) to prioritize verbal comprehension over a more synthetic and holistic understanding of the mystery of faith, which draws on all the senses and appeals to the heart as well as the intellect. The use of Latin, in addition to being simply what the Western Church did for over 1,500 years, creates for worshipers a numinous and sacral atmosphere that invites meditation and adoration. Moreover, seeking the goal of easy intelligibility led the reformers to dumb down much of the content of the Mass so that it might not be “too hard.” What is the heavy price we pay for the all too obvious “accessibility” of the Novus Ordo? Superficiality and boredom. It’s so accessible that it “fails to grip,” as P.G. Wodehouse would say. This is why we have a new self-help genre on getting over one’s boredom with Mass and various faddish movements like LifeTeen for pumping up the Novus Ordo. 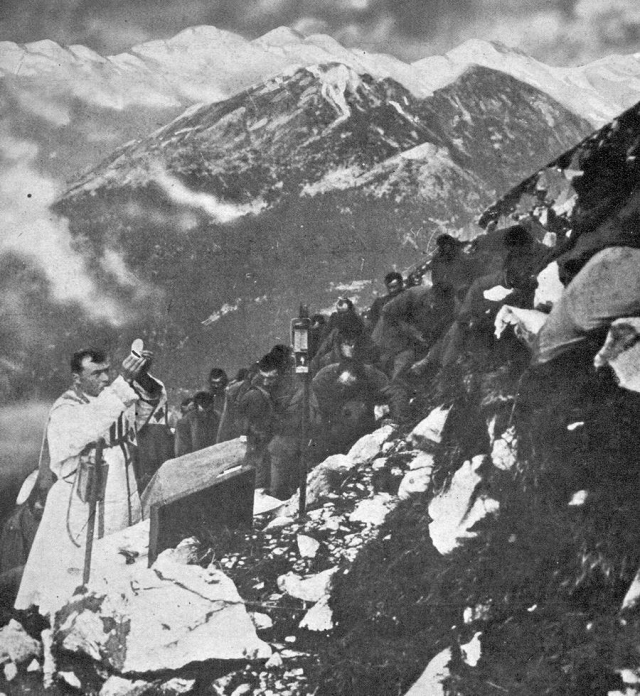 In contrast, the traditional Latin Mass is steep, craggy, and sublime, offering the worshiper the kind of challenge that befits his rational dignity and supernatural destiny, and opening up an endless vista of new discoveries in the age-old prayers and gestures. Finally, no literate person is incapable of using a daily missal, where all the antiphons, prayers, and readings may be found in vernacular translations – but without any attempt at an “official” translation of the impossible-to-translate ancient Latin texts, thus avoiding the intractable battles over what “style” and “register” of vernacular should be used in the liturgy. The major prayers of the Mass are fixed and repeated from week to week, so it is not difficult to follow them, as one can see from wee lads and lasses who do this at the traditional Latin Mass. 2. It’s flexible. We’re supposed to honor Latin as the language of our church and it is easy enough to integrate a little or a lot of Latin into the Novus Ordo Mass. It is also flexible musically. You don’t have to use Haagan Daz, hootenany and soft rock music. Learn Gregorian chant and polyphony. It fits. The idea that a liturgy should be a matter of “picking and choosing” among options is foreign to the historical development of Christian liturgy in East and West, which has always been toward greater definition, consistency, and stability of liturgical texts, chants, and ceremonies. A liturgy is a ritual action in which the actors lose their idiosyncratic individuality and adopt a persona that befits the mysteries enacted. The clergy should come across not as the ones steering and coloring the enterprise, but as stewards of a treasure they receive and place humbly before the people; the people, for their part, find it easier to pray when the liturgy is not a moving target, but one can enter again and again into the same sacred routine. 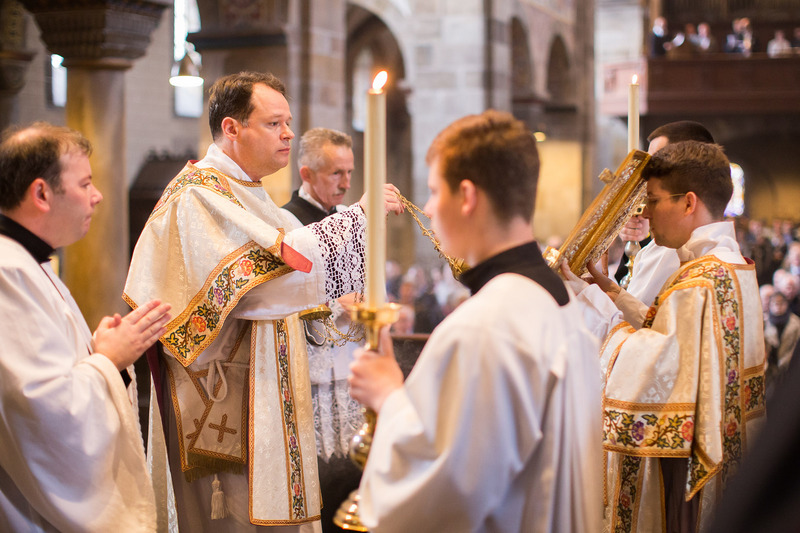 This intrinsic quality of good liturgy is absent from the Novus Ordo by design. Concretely, what does this flexibility end up looking like? We can choose the Roman Canon, that which defines the Roman Rite, or a Eucharistic Prayer patterned after a pseudo-anaphora written by pseudo-Hippolytus and finished on a napkin in Trastevere. 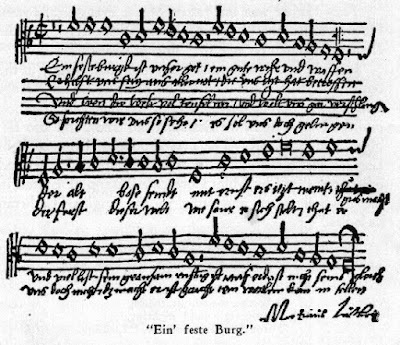 We can have the chant that grew up for a thousand years with the rite, or some sentimental piano tune by an ex-Jesuit. We can have Mass facing East in accord with apostolic tradition (as St. Basil and others testify), or we can try our luck with the novel “closed circle” approach of versus populum. We can have people line up for communion in the hand like customers queuing for bus tickets, scattering fragments of the Body of Christ hither and yon, or place the Lord on the tongue of believers kneeling in a posture of adoration. All this great flexibility! The devil delights in it, since it usually plays in his favor. Such flexibility has also destroyed, for all intents and purposes, the distinctions among a Low Mass, a Missa cantata or High Mass, and a Solemn High Mass. In practice, one usually gets a bizarre mixture of high and low elements with no discernible order or hierarchy. I address the spiritual dangers of this flexibility in a talk called “Liturgical Obedience, the Imitation of Christ, and the Seductions of Autonomy” (full recording here; some excerpts here). The old Mass "traveling well"
3. It travels well. As much as we love beautiful architecture, music, vestments and pipe organs, there are times when the Mass is celebrated at camp, in prison, on the battlefield, in a tin hut or on a mission field, a mountaintop or a beach. The simplicity of the Novus Ordo means it can be celebrated more easily in such situations. This is probably the flimsiest of the twelve reasons, given that thousands of the greatest missionaries the Church has ever known, as well as military chaplains in many wars (including both World Wars, as plenty of vintage photos online give testimony), offered exclusively the traditional Mass and carried on their backs what they needed for it. Indeed, one of the objections raised by missionary bishops at the Second Vatican Council is that the proposed liturgical reform would greatly multiply the number of books necessary for liturgy. All a priest needs to celebrate the old Latin Mass in its integrity is a single altar missal. To celebrate the new liturgy in anything approaching completeness, on the other hand, one needs the altar missal, the lectionary, and a gradual or book of antiphons. A “sung Mass” requires a veritable library of books, as I know from firsthand experience as a choir director for many years at the Novus Ordo. Here is a gallery of photos of priests celebrating the traditional Latin Mass outdoors, showing how well it can be done, including on backpacking trips many weeks long. Besides, as Martin Mosebach says, it’s not ultimately the architecture that makes the difference, but the Mass. The great Catholic Mass of tradition takes possession of the place where it is offered and dominates it; the Novus Ordo brings even a lofty cathedral down to its own impoverished simplism. This is why it usually feels so out of place in the great churches of the past. It should also give us pause that prisoners would respond so positively to the Latin Mass coming into their lives. I received a letter from a prisoner in Louisiana who prays the old breviary and is requesting a weekly Latin Mass. Don’t prisoners also deserve and respond to that which is beautiful, rich, and profound? The modern world is already too much awash in abridgements, shortcuts, diet drinks, and lite snacks; we would benefit from the original version, the scenic route, the robust nourishment. 4. There is more Scripture read, and it is read in the language people can understand. How can it be a bad thing for there to be a wider range of Sacred Scripture being made available to the people? All things being equal, familiarity with more of Scripture is better for the Christian people. But all things are not, in fact, equal. First, the new lectionary is so cram-jammed with Scripture that it works against familiarity, whereas the old (indeed, ancient) lectionary features a more limited number of readings of optimal length and liturgical appropriateness, which encourages a deep familiarity with them. Since the Mass is not meant to be a Bible study, and no Catholic can be expected to acquire a well rounded understanding of the Bible from the liturgy (even the new lectionary features only 13.5% of the Old Testament and 54.9% of the New Testament outside of the Gospels), the claim that it is better to read more Scripture at the Mass is simply begging the question. Second, the old lectionary, as limited as it deliberately is, demonstrably features more of the “tough sayings” of Scripture. 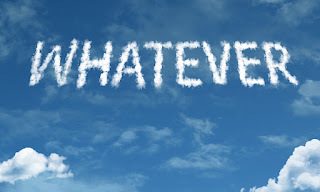 It is not afraid to present the wrath of God, the evil of sin, or the danger of sacrilegious communions – the kind of passages that are frequently left out of the new lectionary, in spite of its much greater size. In other words, the new lectionary suppresses parts of Scripture that are “difficult” to “modern man.” Thus, it presents less of the total message of Scripture, even as the Liturgy of the Hours presents a reduced Psalter, expurgated of politically incorrect material. 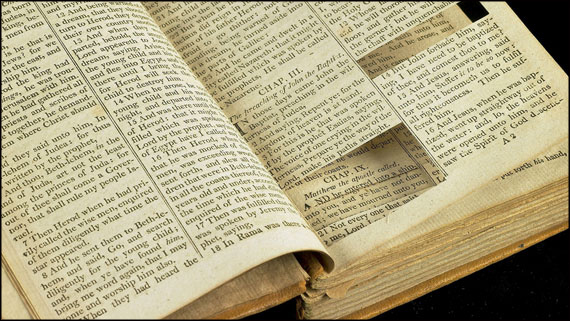 Six major arguments against the appropriateness of the new lectionary may be found here; an explanation of the nature of the omissions and distortions in it may be found here; and a case study on the exclusion of 1 Corinthians 11:27-29 may be found here. 5. The gospel procession is restored. Moving the book from one side of the altar to the other? That’s not really a procession is it? In the Sarum rite – the ancient English rite–there were a good number of processions–the gospel procession being one. Nice to have that ancient custom restored. 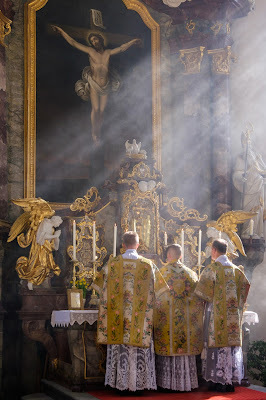 The old rite in its normative form, the Solemn High Mass, has a magnificent Gospel procession that starts at the high altar and comes over to the front of the sanctuary, where the deacon chants the Gospel to the north, to symbolize confronting the world of unbelief and evangelizing it. Even in a Missa cantata, the transition from epistle side to Gospel side is accompanied with candles, incense, and a striking change in chant tone, making it an impressive moment in the liturgy. The ceremonial of the Novus Ordo is pathetic in comparison. Fr. Longenecker speaks as if the daily Low Mass is the epitome or measure of the ancient Roman Rite, whereas it is a monastic devotional version of it. Nevertheless, even in a Low Mass the transition from the epistle to the Gospel by way of the Gradual and Alleluia, the profound bow at the center and the prayer invoking the prophet Isaias – all conducted upon the altar of sacrifice, where the Word rises up as a sweet fragrance to the Father, showing in a striking way the inherent unity of the “liturgy of the word” and the “liturgy of the Eucharist,” as well as the ordering of the one to the other – is still far more impressive than a priest strolling over to the ambo to read out the Gospel in Nabbish. 6. The prayers of the faithful. These are often abused, but when they are well composed and fitting they are a great assistance in leading the people in prayer. This point gives us the opportunity to state Fr. Longenecker’s central weakness, which he shares with all the tinkering liturgists of the mid-twentieth century – namely, if there’s a “good idea,” we should insert it in the liturgy. It doesn’t matter how it’s been done since time immemorial; our “good ideas” deserve their day in the sun – pontifically legislated, no less! The “Prayer of the Faithful” was added to the Mass on the basis of scholarly theories that maintained that the early Mass always featured such intercessions, as one finds them in full flower in the Good Friday liturgy. However, better scholarship has argued that the Good Friday Mass is not a model for the rest, but a unique day, which is what common sense would have suggested. In any case, there is no evidence that the Roman liturgy featured lengthy litanies or intercessions along the lines of the Byzantine rite. Almost all of the things we usually pray for are already prayed for in the Roman Canon and in various other parts of the Mass. The “Prayer of the Faithful” is just another novelty inserted into the Mass because the experts thought it was a grand idea. As Joseph Ratzinger noted more than once, it is a dangerous business to yoke one’s public liturgy to the theories of scholars, which are proposed and overturned every quarter-century or so. 7. The offertory procession is restored. The offertory procession is an ancient part of the liturgy in which the people of God bring forward the gifts of the altar. That’s a beautiful restoration of an ancient tradition. The “offertory procession” as it was fashioned by the Consilium bears little resemblance to any historical precedent in the West; it is a fanciful creation loosely based on the custom of people handing in bread and wine before the service began. 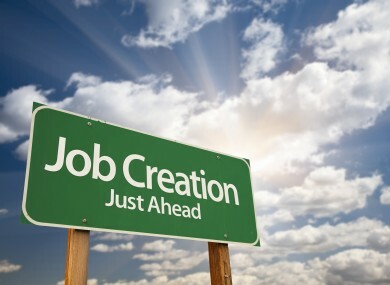 (See Paul Bradshaw’s article “Gregory Dix and the Offertory Procession.”) Its current form seems to be another method for giving jobs to lay people, like the Works Progress Administration for the unemployed in the Depression. Ancient usage must not be esteemed more suitable and proper, either in its own right or in its significance for later times and new situations, on the simple ground that it carries the savor and aroma of antiquity. ... It is neither wise nor laudable to reduce everything to antiquity by every possible device. Thus, to cite some instances, one would be straying from the straight path were he to wish the altar restored to its primitive table form; were he to want black excluded as a color for the liturgical vestments; were he to forbid the use of sacred images and statues in churches; were he to order the crucifix so designed that the divine Redeemer’s body shows no trace of His cruel sufferings; and lastly were he to disdain and reject polyphonic music or singing in parts. Curious, isn’t it, how every example given by Pius XII as a case of “straying from the straight path” turned out to be characteristic of the liturgical reform as it was implemented everywhere – replacing the ad orientem altar with a versus populum table, excluding black for Requiems, destroying images, installing weird crosses, and repudiating polyphonic music? Fr. Longenecker decries the loss of these meaningful customs, since he is on the side of the “reform of the reform.” But the presupposition of many of his points is precisely the false antiquarianism that led to the loss of so much that was distinctive of Catholicism, in favor of supposedly “more ancient” practices. Taking away what we gained from the Middle Ages and the Baroque period and replacing it with questionable and always selective reconstructions of antiquity is the hallmark of liturgical eggheadedness. It always looks better on paper than it does in reality. 8. The offertory prayers. That’s a connection with the Jewish prayers Jesus would have said at the Last Supper. So that’s a bad thing? This point had me scratching my head. 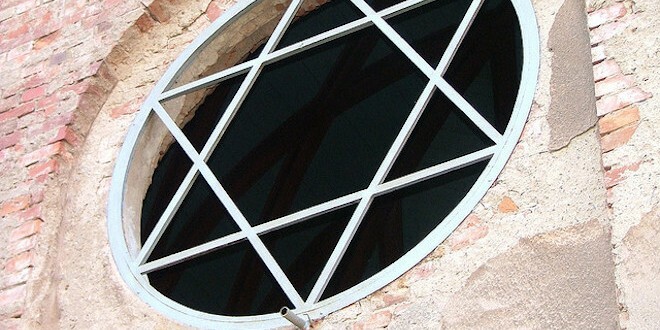 The Novus Ordo faux Jewish offertory is a fabrication that bears no relation to the liturgical offertories found in all Eastern and Western rites from the Middle Ages until 1969. Nor should we be surprised that Christian rites as they developed over time did not reach back to unaltered Jewish material for inspiration, much less for specific texts. In reality, the Consilium wanted to abolish all offertory prayers and have the “offertory” consist simply in the gesture of a symbolic raising up of the bread and wine. Pope Paul VI objected to the lack of a text and requested the “drawing up” of one (since there was apparently complete agreement among the architects of the new rite that the way the Church had prayed for about 1,000 years was obviously mistaken). The Jewish table blessing was conveniently laid hold of. Shabbat shalom! Is it really possible that someone of Fr. Longenecker’s intelligence is unaware that it is a serious problem to go about constructing liturgy in this manner, when liturgy is and has always been seen as the corporate prayer of the Church handed down from one age to the next, augmented by the devotion of each generation? The idea of canceling out a significant part of the rite and replacing it with something never in currency among Christians was inconceivable, and so it should remain. 9. It’s adaptable. The adaptability means the abuses have come in, but it also means all sorts of traditional customs can be retained. Pope Benedict wished for the Extraordinary Form to inform the celebration of the Ordinary Form. So it can be celebrated ad orientem, with altar rails, communion administered to the faithful kneeling and on the tongue, well-trained altar servers, good music, vestments, architecture and art. Yes, bland and banal is possible, but so is grand and glorious. This is a bit like saying, “The great thing about our political system is that it allows the March for Life to flourish alongside funding for Planned Parenthood.” No, this shows the catastrophic failure of our political system to adhere to the natural law and promote the common good. In like manner, the fact that the Novus Ordo is a matrix of possibilities that can be realized by each community according to its own ideas of what is right and fitting is not a perfection of it, but a sign of its internal incoherence, anarchy, and relativism. The traditional rites of the Church follow time-honored rules that require (even if they do not always guarantee) serious, reverent, orderly, and theocentric worship. The result is that anywhere I go in the world, I can walk into a traditional Latin Mass and know what I am going to see and hear. The same texts, the same gestures, the same ethos, the same Catholic religion. As long as the priest follows the rubrics, the Mass will be prayerful, focused, and edifying. Tragically, this cannot be said for the Novus Ordo. 10. Hymns. Yes, I know hymns are supposedly a modern “Protestant” innovation...it’s debatable, but simply taking them for what they are, there are some excellent hymns which really do help the people lift their hearts in worship, express their faith and help to catechize. Used to complement the liturgy they can be a good thing. This point is faint praise. Hymns are not an exclusive preserve of the Novus Ordo world: communities that worship with the traditional Latin Mass often include a processional hymn on Sundays, prior to the Asperges, and a recessional hymn after the Last Gospel. Be that as it may, the over-use of hymns long predates the Novus Ordo. The “four-hymn sandwich” comes from a sick phase of the Liturgical Movement where the ideal of some clergy (especially American) was a Low Mass into which an Entrance Hymn, an Offertory Hymn, a Communion Hymn, and a Closing Hymn had been inserted for the “people’s participation.” Sound familiar? The real story is that hymns began in the Divine Office, which is their proper home. Every hour, from Matins and Lauds through Prime, Terce, Sext, and None, to Vespers and Compline, has a hymn. This body of poetry and music is among the richest that Catholics possess, yet almost no one encounters it “in the wild.” It seems that shepherds of souls have still not taken to heart Vatican II’s recommendation that the faithful be introduced to the public chanted celebration of the Divine Office. On the other hand, the idea of paraphrasing Scripture or writing devotional poetry and having a congregation sing it during the “Lord’s Supper” is unquestionably a Protestant invention, one that tends to give a Protestant feel to the Eucharistic liturgy – as its ecumenical proponents intended. I’m sorry, Fr. Longenecker: it really doesn’t matter how nice the hymns are. 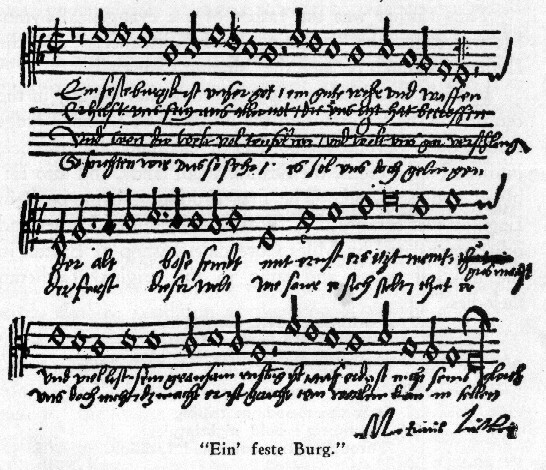 The Catholic Mass has its own hymns, the Gloria and the Sanctus, as well as its own native music: the Gregorian antiphons and Mass parts, or their great polyphonic settings down through the ages. The point of the Mass is not to give catechesis, nor to foster “praise” (in the sense in which charismatics use the term), but to offer worship to the Triune God through the sacrifice of Jesus Christ. No one has explained this point better than Fr. Christopher Smith in this article and this follow-up. The liturgy does not need “complementing”; it needs to be celebrated with integrity and purity, for that is how it will be most effective in doing its proper work. Without a doubt, there are other occasions when hymns may be used to better effect. 11. Its accessibility makes it better for evangelization. I know the Mass is not primarily for evangelization, but when potential converts start attending Mass, to be able to understand and follow the words and actions eases their entrance into the church and enables the process to be more welcoming. I am disappointed to see Fr. Longenecker parroting the usual rhetoric of the liturgists, who always assume that what potential converts are seeking is rational content, verbally delivered. We have already touched on this point above. Here it may suffice to note that traditionalism is above all a youth movement (see here, here, and here, for starters). 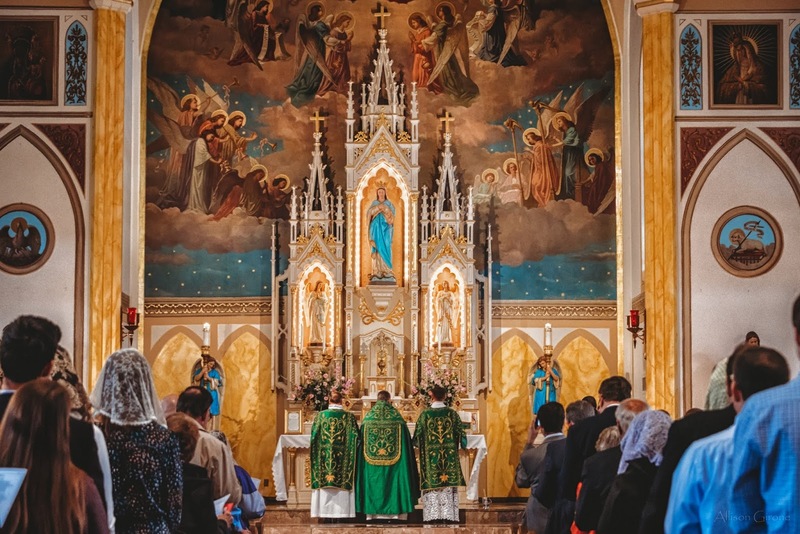 As anyone can see from paying a visit to them, traditional Latin Mass parishes attract a disproportionate number of young adults and young families. Conversions and reversions are numerous, which is striking when one considers the ghetto-like marginalization under which traditional communities still suffer in dioceses where the bishops have chosen to ignore Summorum Pontificum. All of this suggests that what “modern man” is looking for may not be this now old-fashioned notion of “accessibility” or “being welcomed,” but an encounter with mystery, a confrontation with the divine, a brush against the ineffable, an immersion in the sacred. The Novus Ordo is singularly poorly equipped to accomplish any of that, nor does its sleek Bauhaus design naturally prompt it or encourage it. By 2019, the new liturgy looks and feels dated; many adhere to it from custom or lack of awareness that there is any alternative. The old liturgy has a perpetual freshness that beckons world-weary pilgrims who stumble across it into the haven of the Church. 12. It’s simple. The plain words and actions of the Novus Ordo provide for a celebration with noble simplicity. Just saying the black and doing the red has a down-to-earth dignity – not overly ornate and fancy nor banal and vulgar. Should the mystical representation of the supreme sacrifice of Christ, which collapses the 2,000 years that separate us from Calvary and brings us right to His Cross, into His holy wounds, His precious Blood, His pierced Heart; the awesome crossing of the abyss that separates man from God and Earth from Heaven; the revival in our midst of the mysteries of the life, death, resurrection, and ascension of the Lord; the commingling of His acts of love, adoration, sorrow, supplication, thanksgiving, with our own, so that we, the members of His Mystical Body, may glorify God in union with our Head – should this be “simple”? Could it ever be? Only at the price of falsifying it utterly. Liturgical rites, Greek or Latin, Eastern or Western, developed under the beneficent hand of Providence toward ever greater fullness of expression of these glorious realities, ever greater amplitude, exuberance, and detail. The contrary motion appears in history as iconoclasm: the will to destroy the inexhaustible beauty of God that has found expression in material things. “Saying the black and doing the red” is only as valuable as the black to be said and the red to be done. The theological inadequacy and spiritual narrowness of the texts of the Novus Ordo have been thoroughly documented and critiqued (e.g., in this book, this book, and this book), and as for the rubrics, they were a standing joke from the first printing of the missal to its latest edition. No wonder a private cleric on his own initiative had to supply a complete set of rubrics; the Vatican apparently felt that Catholic liturgy was better off without taking into account such fussy details as where ministers should be positioned or when and how they should bow. What we see with the Novus Ordo is a contradiction in terms: an unliturgical liturgy, an unceremonious ceremony, a relaxed ritual, a do-it-yourself template for collective devotion. Comprising the usual bromides on behalf of the Novus Ordo, none of which stands up to critical scrutiny, Fr. Longenecker’s article is yet another restatement of the neoconservative party line that “the postconciliar Church is fundamentally sound, ladies and gentlemen, so keep moving along.” Those who are going to defend the monumental rupture that is the Novus Ordo are going to have to find much better arguments than the ones proffered to us by Fr. Longenecker. It is a classic straw man to claim, as Fr. Longenecker does at the start of his article, that “there are some who seem to think every problem in the church and the world can be laid at the door of the dreaded Novus Ordo.” I have never read any traditionalist author who thinks this or says it. Yes, we all think the Novus Ordo is a rupture with Catholic tradition and a disaster in the life of the Church, but we are well aware that it does not exist in a vacuum. Other problems regularly pointed out include modernism, consequentialism, hyperpapalism, feminism, the homosexual clerical power caste, the liberal separation of Church and State – indeed, the list is lengthy. All of these problems are, sooner or later, connected with one another. The liturgical reform is the “poster child” of the revolution that has divorced today’s Catholic mainstream from the Catholicism of all ages, but behind every poster is a propaganda office and an ideology. The traditional liturgy has taught me that my likes and dislikes do not and should not have any effect on the Mass. Rather, it is the Mass, preexisting in its solidity and density, that shapes my loves and hatreds, in accord with what it shows me, impresses on me, leads me to understand after a long apprenticeship. It was the same way with the disciples and Jesus. He was not as they expected He would be, but He did not bend to the likes and dislikes of zealots, Pharisees, tax-collectors, or fishermen. He patiently but authoritatively made them conform to Him. I can understand a priest wishing to believe that the liturgy he has been given by “the Church” may be simply accepted as it is, no worries, no bones about it. But the Lord is extending a special mercy to us during this seismic reign of Pope Francis: the opportunity to wake up to the dangers of an exaggerated ultramontanism that prompts Catholics to swallow whatsoever a reckless pope wants to shove down their throats, even when it runs against the papacy’s ministry of receiving, preserving, and defending tradition.